I'm pretty sure by now you guys are extremely irritated by me talking about how happy I am that it's Spring. 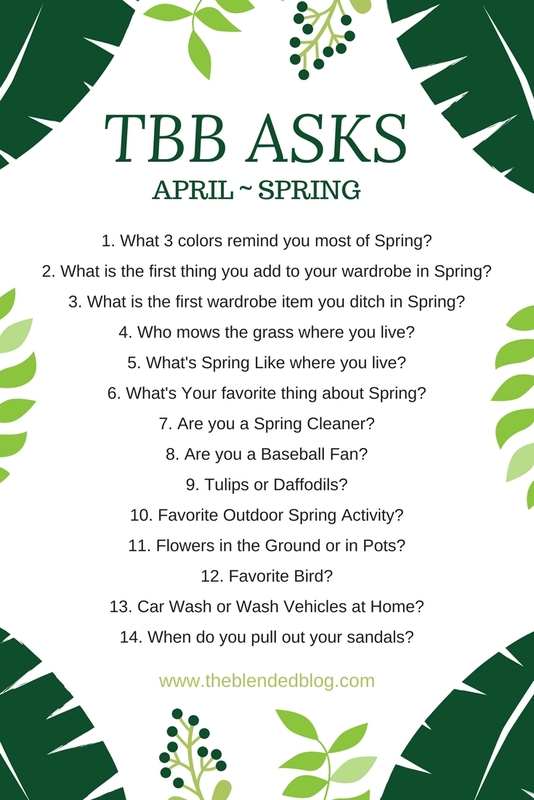 Well, This month's Q&A segment of TBB Asks on The Blended Blog is all about Spring. Join in the fun and get to know a little bit more about your favorite bloggers! Oh, there are so many BUT I will go with a light pink, faint yellow and mint green. 2. 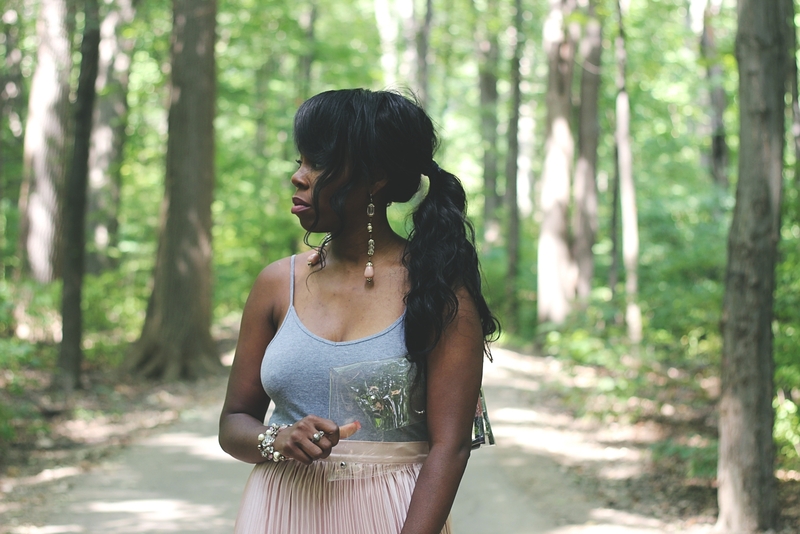 WHAT IS THE FIRST THING YOU ADD TO YOUR WARDROBE IN SPRING? You guys know I get way too excited about warmer weather, so I try to either do more dresses/skirts or sandals. I don't necessarily ditch it, but I certainly put away a lot of Winter hats/scarves. I don't want to be reminded of them (even though our weather is still cold). 5. WHAT'S SPRING LIKE WHERE YOU LIVE? 6. WHAT'S YOUR FAVORITE THING ABOUT SPRING? Yes, even though this year it's been REAL rough with me working so much. Oh gosh, that's a hard one. Can I just have both please? Any and everything!! Just excited to be outside of the house/car/job doing things! Again, I don't discriminate, I will take both! Listen, living in an apartment with car ports, birds tend to make nests and try to protect those nests by SWOOPING down on anything moving, so I don't really have a fave at this point in life, lol! 13. CAR WASH OR WASH AT HOME? Nothing like a good ol' home wash but the first one has to be at the car wash for a good Spring detailing. 14. WHEN DO YOU PULL OUT SANDALS? 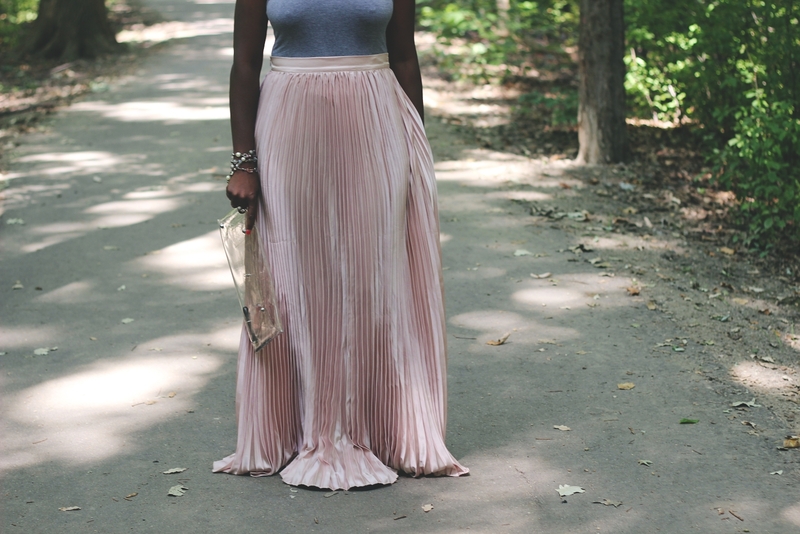 Head over to The Blended Blog and join in on the fun!